Edinson Cavani has been ruled out of Paris St Germain’s Champions League clash against Manchester United at Old Trafford on Tuesday, French sports daily L’Equipe reported on Sunday. A source inside the club said Cavani’s absence had been acknowledged, the report said without elaborating. 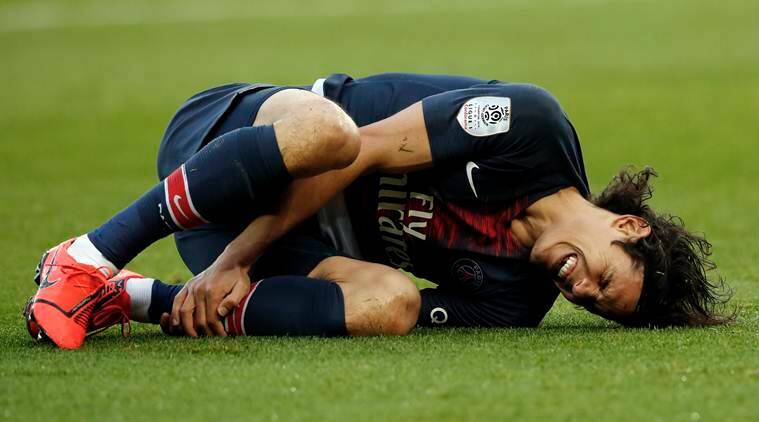 Uruguay striker Cavani sustained a thigh injury in Saturday’s 1-0 Ligue 1 victory over Girondins de Bordeaux adding to PSG’s injury woes ahead of the last-16 first leg against a resurgent United side. PSG are already without Neymar, who was ruled out with a foot injury, leaving the French side with only Kylian Mbappe as a world class striking option.